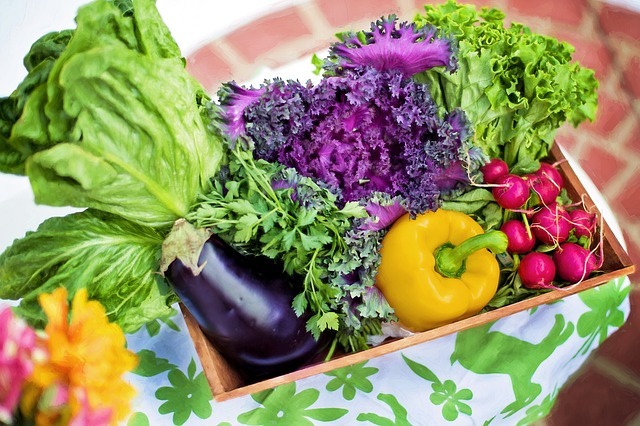 Organic – Is It Nutritionally Better For You? It’s probably fair to say that, by the end of this article, a number of readers are going to be surprised. There’s certainly a perception that organically grown foods are much healthier and nutritionally better for you, compared to the more conventional farming methods. But does the research in fact support this? Firstly, let’s consider a definition of a organic. Organic food is the product of a farming system which avoids the use of man-made fertilisers, pesticides, growth regulators and livestock feed additives. Foods that have been genetically modified are excluded from the definition of organic due to the “unnatural” manner in which they have been produced. The benefits of eating organically grown food seems logical given that they do not include chemicals in their production and are produced in a very “natural” setting. You would think it would be plain to see that they would taste better and be nutritionally better for you. However, it’s not as clear cut as that. Let’s take a look at the chemical aspect of food production. Chemicals are used in the production of food to prevent pests, diseases and weeds from interfering with their growth cycle. This means that there may be some residue on the food itself. There are over 400 different chemicals that are permitted to be used in conventional farming methods. Scientist Dr Paul Cribb sites a study comparing the chemical residues found in organic lettuce vs conventionally farmed lettuce. Although the conventionally farmed lettuce had higher levels of residue, they were well below minimal standards, the organic produce also showed levels of chemical residue, despite the organic farmer not using any chemicals. Researchers concluded that different fruits and vegetables hold varying degree of chemicals in their cells and the proximity of conventional farms, plants and hedging to the organic farms influenced the amount of chemical residue that could make it’s way onto the organic produce. Even though you may be purchasing organic food believing it to be completely chemical free, the research shows that this may not in fact be the case. You can expect the pesticide residue to be less on organic food compared to conventionally farmed food, but recent studies show that the significance of this difference is questionable. The studies have shown that the level of contamination in both types of food are generally well below acceptable minimal standards. You can significantly eliminate residues of fertilisers and pesticides by thoroughly washing the food prior to consumption. There’s also an argument that, due to organic farmers using manure and no fungicides, there is a risk that their produce could contain potentially dangerous micro-organisms. So it’s not necessarily safer. Generally speaking, buying organic foods is a lifestyle choice. There have not been any studies undertaken since world war II regarding the impacts of organic food vs conventionally farmed food on human health. This seems surprising in this day and age. There have been some studies showing that there were more traces of pesticides in the urine of subjects compared to those eating organic foods, but the levels were so low they weren’t considered harmful. I encourage my clients to follow their lifestyle choices in this area. My passion is to improve the quality of food that people are eating, especially plant-based foods. If your belief is that organic is much more beneficial for you, then I encourage you to keep following your choice and be content with it. I personally only buy organic foods if I find them to be reasonably priced. Unfortunately the majority of organic food comes with a price tag up to a 100%+ higher than it’s conventionally farmed alternative. So for me the price does not justify the purchase of organic foods. The lack of clear evidence of the improved health benefit of eating organic does not make it an economical choice for most. Let’s face it, the majority of people could improve their health by just eating more plant-based foods, irrespective of whether it’s organic or not!